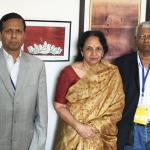 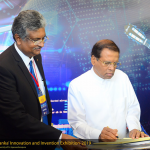 The Vedasa – 2018 medical exhibition organized to the commemoration of the 25th Anniversary of the Faculty of the Medical Sciences of the University of Sri Jayawardenapura was opened under the patronage of President Maithripala Sirisena at Bandaranaike Memorial International Conference Hall, Colombo (BMICH) on 4th December 2018. 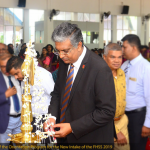 Prof. Sampath Amaratunge; Vice-Chancellor of the University of Sri Jayawardenapura Prof. Surangi Yasawardena; Dean of Faculty of Medical Sciences, heads of Departments, and a large number of academic members graced the event. 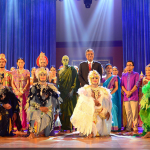 The exhibition was held under the theme “A healed nation with the scope of 25 years of medicine” carries the prime objective of making the public aware of the physical, mental and societal well being of the people. 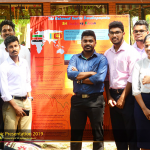 The exhibition is scheduled to be held until 8th of December 2018 together with a health communication service which includes discussions, lectures, and report programs. 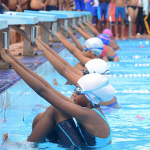 It is also scheduled to hold sessions per day on mental balance under the theme to promote mental wellbeing and healthy conduct through a special advisory board. 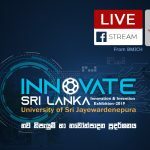 In addition, there’s an opportunity for the selected individuals who are participating in this session to get enrolled in receiving a variety of medical tests free of charge. 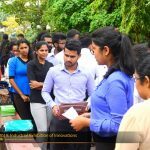 Eradicating the non- infected diseases which are usually spread in the society will be especially focused on the exhibition. 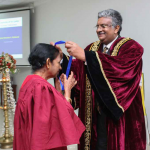 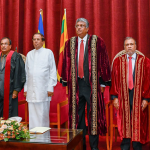 The students who won in the All-Island school drama competition organized to mark the completion of 25 years of the Faculty of Medicine of the University of Sri Jayewardenepura were presented awards by the President.